LucasArts may be gone, but Raven Software is doing what it can to ensure that a couple of Jedi Knight games live forever. Disney pulled the plug on LucasArts yesterday, a genuinely sad moment despite being an almost inarguably sound business decision. 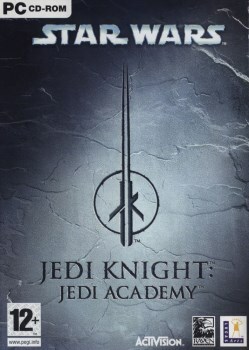 But some little bit of good has come out of it, as the closure of the studio has prompted Raven Software to finally release the source code for Jedi Knight II: Jedi Outcast and Jedi Academy. "Raven is sad to hear about the closing of LucasArts today, we respected them and enjoyed working with them over the years. We wish the best for all the talented people who were let go and hope they find good work in studios in the industry," Raven told Kotaku Australia. "We loved and appreciated the experience of getting to make Jedi Knight II: Jedi Outcast and Jedi Academy for LucasArts," it continued. "As a gift to the persistently loyal fanbase for our Jedi games and in memory of LucasArts, we are releasing the source code for both games for people to enjoy and play with." For those unfamiliar with the concept of source code, this isn't something you can just download and run, and making it work on modern systems (these games are a decade old, remember) and with "retail assets" will probably take some doing. But in the hands of dedicated modders, great things can, and hopefully will, be done with it. The Jedi Outcast source is available here, while the Jedi Academy source can be had here. You may say "thank you" to Raven right here.